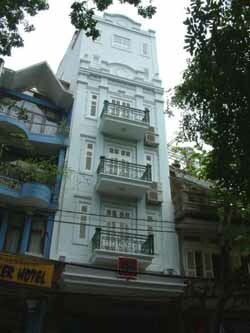 * Featuring 28 European rooms and suites, the Gia Bao hotel offer you modern amenities: satellite TV, IDD phone, free ADSL internet , mini-bar, large fitted bathroom, working desk, personal safety box, slipper..
* Restaurant: The Gia Bao restaurant and coffeehouse features an array of mouthwatering Western, Asian and Vietnamese Cuisine. Free morning buffet services. * Free ADSL Internet, Foreign currency exchange, Car-rent, visa extension, booking ticket ..
Safety box, slipper..The Gia Bao restaurant and coffeehouse features an array of mouthwatering Western, Asian and Vietnamese Cuisine.Facilities: Sauna room, Concierge and Tour services.